Blue Ventures’ Ben Honey – IYOR – Why 2018 is the year to get involved! For those of you not already aware, the International Coral Reef Initiative (ICRI) has declared 2018 as the third International Year of the Reef (IYOR). This decision was made in response to the increasing global threats on coral reefs, and in recognition that public awareness is an essential element of coral reef conservation. Many things have changed between today and the last IYOR ten years ago, but the importance of coral reef habitats and their vulnerability have not. One hands-on way that ICRI recommends getting involved is by taking part in coral reef surveys. Collecting data on coral reefs is important as it’s only by learning more about these ecosystems that we can better identify ways of improving their health and implement effective conservation strategies. After exploring these underwater worlds first-hand, many people from around the globe have become enthusiastic coral reef conservation advocates. Blue Ventures volunteers learn the diving and scientific techniques required to collect data on some of the world’s most remote coral reef, mangrove and seagrass habitats in Madagascar, Belize and Timor-Leste. This information is used to assess the effectiveness of Blue Ventures’ conservation programmes, to answer important research questions, and provide feedback on reef health and reserve impacts to the communities that manage these ecosystems. 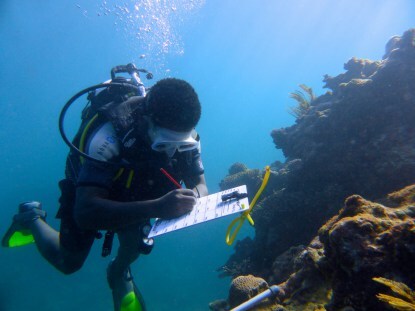 In Madagascar, volunteers carry out reef monitoring surveys in the Velondriake locally managed marine area (LMMA). LMMAs are areas of ocean managed by coastal communities to help protect fisheries and safeguard marine biodiversity, and the Velondriake LMMA also includes several no-take zones (NTZs) where fishing is banned year round. Blue Ventures volunteers survey reefs inside and outside of these NTZs to support research on their effectiveness, as well as to track trends in habitat change over time, including the effects of coral bleaching. On the other side of the world, the Belize Barrier Reef system (a UNESCO world heritage site) is threatened by invasive lionfish, and our Belize volunteers are playing a vital role in the detection, monitoring and management of this species in Bacalar Chico Marine Reserve. 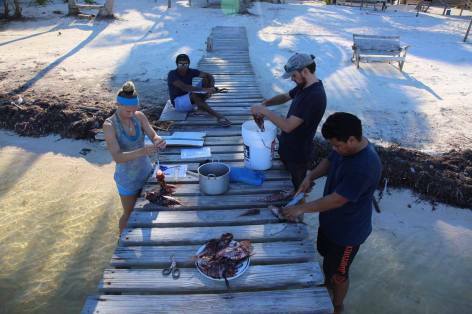 They also collect data on reef health, contributing to scientific reports and adaptive conservation management plans that help to inform fisheries ministries and departments on how the Bacalar Chico Marine Reserve is performing. Timor-Leste lies in the middle of the Coral Triangle, and is home to the highest diversity of marine life on earth. Despite being a global marine conservation priority, little is currently known about the status of Timor-Leste’s waters. 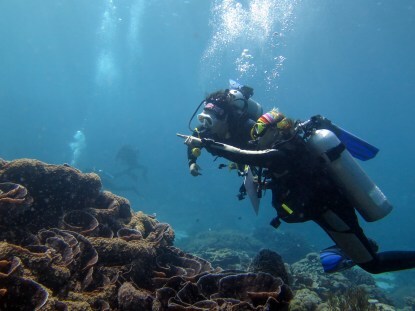 Blue Ventures’ volunteers are assisting with the collection of marine inventory data at this remarkable site, completing research dives in previously un-surveyed waters. The data they collect contributes directly to our efforts to develop new approaches to engaging Timor-Leste’s coastal communities in marine conservation. But maybe a six-week marine conservation expedition isn’t a possibility for you at this time, or perhaps you’ve just come back from one and you’re wondering how to get involved a bit closer to home? Inspirational Blue Ventures volunteer Rebecca Loy recently hosted a fundraising dinner and coastal cleanup in her community in Singapore to increase awareness of ocean plastic. For more ideas, ICRI have come up with a useful list of suggestions which includes organising coral reef themed competitions, encouraging journalists and celebrities to engage with coral reef issues, and doing a talk about coral at your local school. The importance of coral reef ecosystems simply cannot be overstated, and the increasing global threats to reef health are cause for serious concern, but IYOR 2018 is inspiring individuals, organisations and governments across the world to take action before it’s too late. Get involved with coral reefs this year, and be sure to let the world know when you do (#IYOR2018 #blueventures). 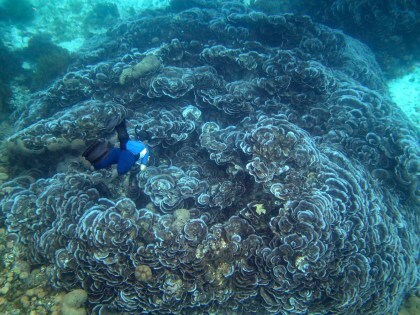 Together we can help strengthen awareness for coral reefs and work to ensure their survival. Want to know more about our marine conservation expeditions? Check out these blogs from previous Blue Ventures volunteers.